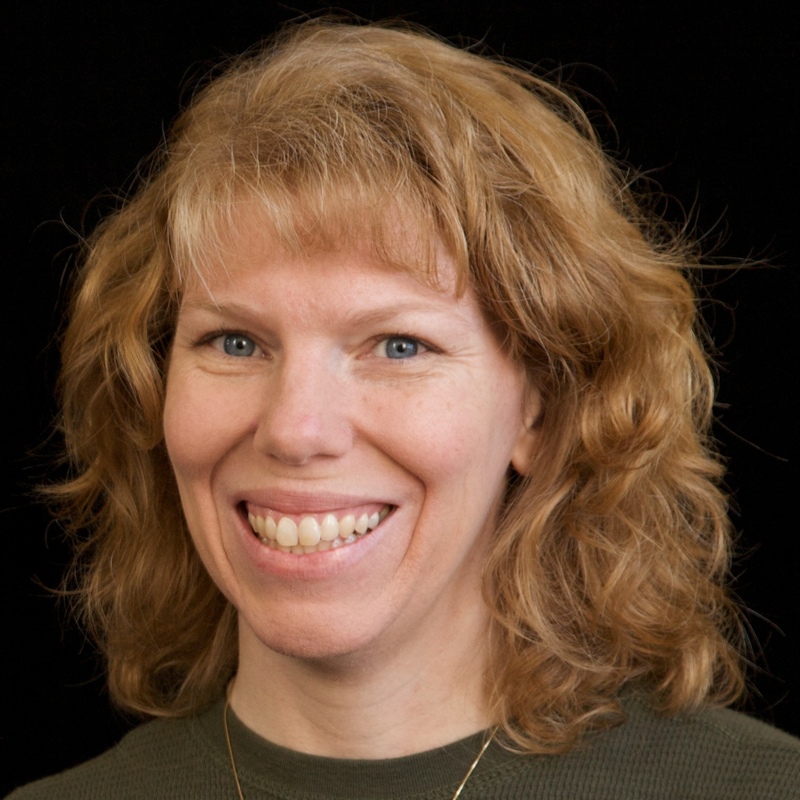 Cindy deRosier: My Creative Life: Happy Birthday Trouble! Four months ago, we adopted an eight-month old rabbit named Trouble. 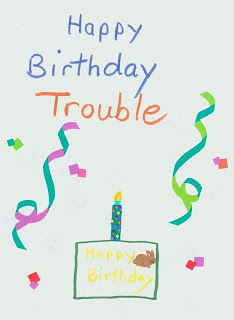 That very day, Trevor checked the calendar to see when we would hold Trouble's birthday party. He's been planning the details for months. Finally, the big day came. And Grandma even sent a card in the mail! and Carrot Cupcakes for the humans. and the presents on the grass. The Guest of Honor LOVED his bunny biscuits. All that were left were crumbs. 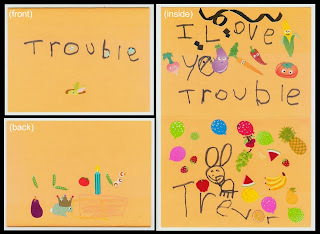 Trevor read the cards to Trouble, who listened attentively. Trouble wasn't sure what to do with his presents. He sniffed them and nudged them a little bit, but didn't open them. 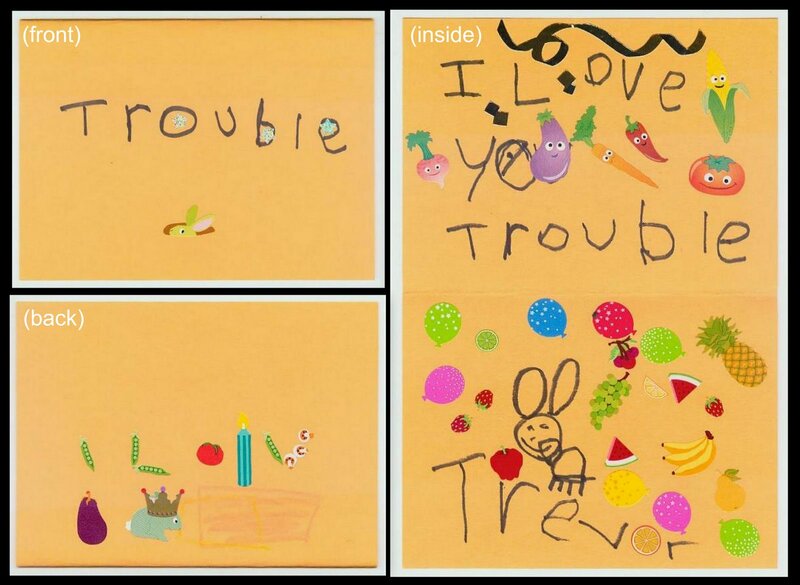 Trevor eventually opened them for Trouble. 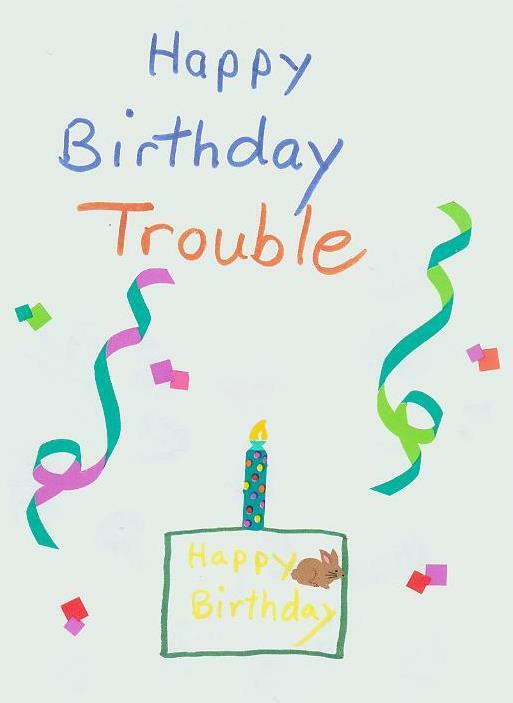 Happy first birthday Trouble! We're so happy to be your Forever Family. This is so precious beyond all precious things I have ever seen! What love you are teaching your son, but I have a feeling he has a tender heart already and needs no teaching. You are a wonderful mom. Love this! I agree with Kelly, such a great mom! You are so much fun! This is great - sharing with the bunny rescues! This is adorable! 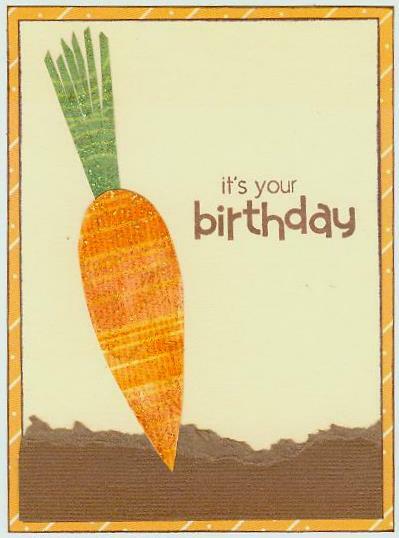 I love your carrot card. Mine never understood what to do with tissue-wrapped packages either, though I bet she'd've worked it out if I'd wrapped up some banana.